If you have kids, you likely have a lot of banana peels floating around. 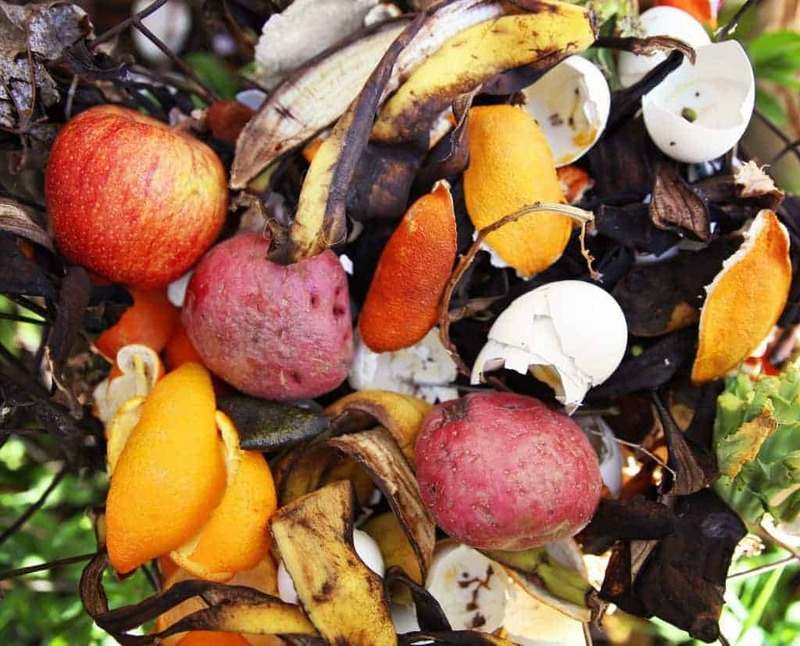 Trashing them seems like kind of a waste so why not recycle them instead – in your garden. 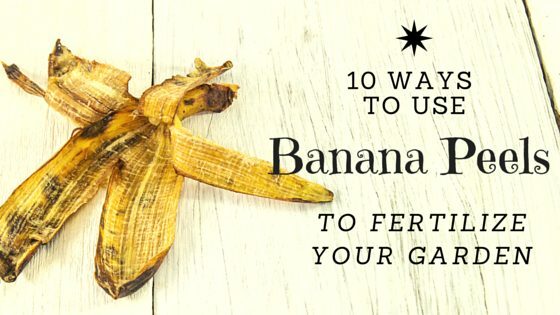 Did you know banana peels make one of the best fertilizers out there? I didn’t until I started researching it. Turns out, banana peels are a rich source of nutrients your plants crave: Potassium, phosphorus, and calcium, along with a host of other minerals your plants need. 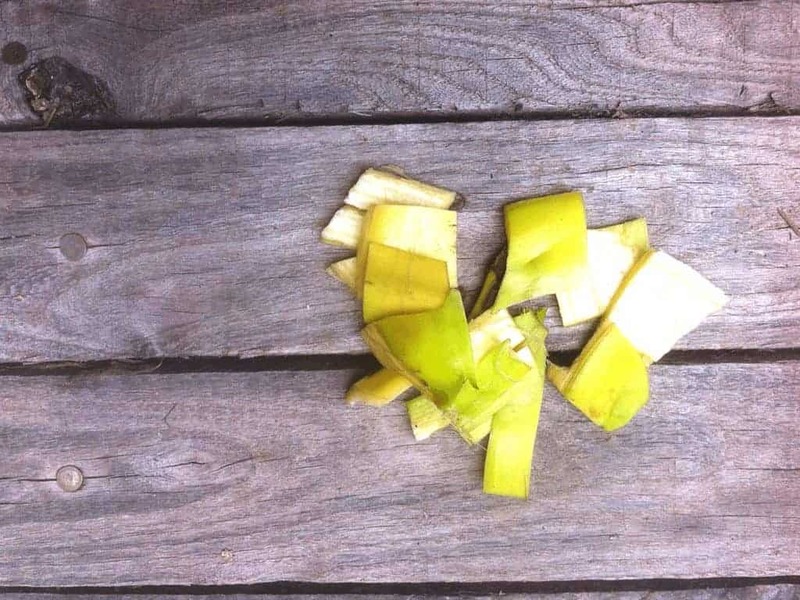 Here’s 10 ways you can add banana peels to your garden, and keep it as natural as possible. Like compost tea, this fertilizer uses nutrients leeched from banana peels to give your plants a mineral boost. To make it, fill a mason jar with water, and add a banana peel. Let it sit for 48 hours. After 2 days, discard the peel (using one of the other methods in this article, hopefully! ), leaving the water in your mason jar. Water your plants as usual with your banana tea. If you made the banana peel tea above, you’ll have leftovers to use up. 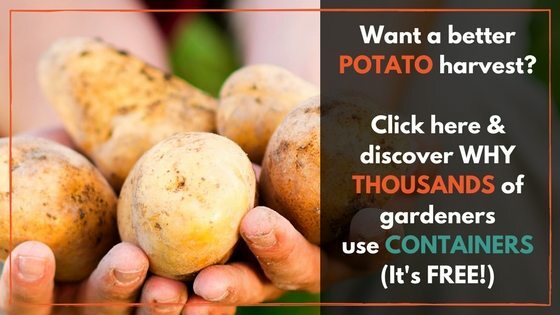 Consider adding them to your garden directly. To do so, chop your banana peels into 1/4 inch pieces – by chopping them, you kick start the composting process, and release some of the beneficial vitamins and minerals in the peels. Bury them anywhere from 4 inches down to just beneath the surface of the soil. If you choose to bury them inches below the soil, do so before you plant your vegetables at that location, or where you aren’t in danger of hitting your plants’ roots. As the peels decompose, all the valuable vitamins in the peels will reach the roots, giving you plants a nutrient bump that will make them happy. If you want to feed your red wigglers and indirectly use banana peels in the garden, toss your leftover peels in your compost pile. It’s not the most inventive way to use the peels, but it’s a valuable method, nonetheless. Over time the peels will decompose and turn into rich compost. When preparing your beds for planting, or when your plants begin to flower, side dress with the compost to aid in fruit and vegetable development – your plants will love the extra nutrients. Similar to the spray version, you can dry your banana peels and grind them into a fertilizer. If you only have a few peels to use up, but want to use them effectively on many plants, this is a great option. Dry your banana peels using the method I go into at the end of this article. Once dry, grind the peels in a coffee or spice grinder. 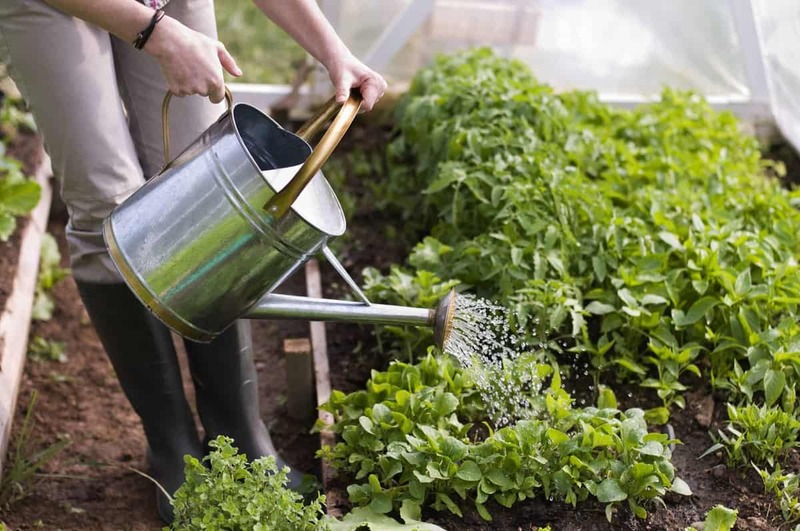 Add to your garden soil directly, either by sprinkling as a side dressing or gently incorporating into the dirt, making sure to avoid your plants’ roots. A very straight forward way to use banana peels in the garden is to add the whole peel to the soil when planting. The seeds will get a nutrient kick at the start of their lives, which will translate into healthier plants and a better harvest. When you plant your seeds, dig a trench a couple inches deep. Lay the peels flat in the trench, and add your seeds on top. Fill the trench in when you’re done laying the peels and the seeds. As the seeds germinate, form roots, and continue to grow, the peels will decompose, creating a rich fertilizer. 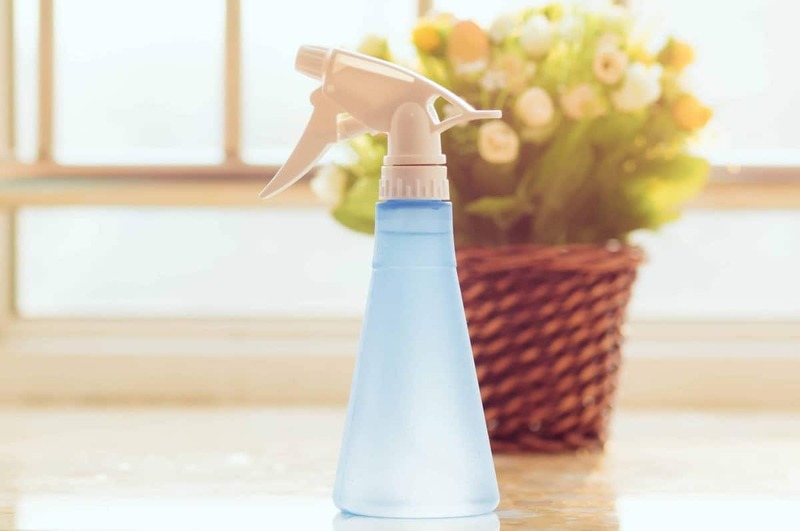 A step-up from banana peel tea, this spray is a fertilizer that also uses eggshells for a calcium boost and Epsom salt for magnesium. If your plants are established, and you just want to give them a nutrient boost, try making a fertilizer spray. Because you can hit many plants at once without needing a ton of banana peels (and without having to chop them all up). To create the fertilizer spray, you’ll need banana peels, egg shells, Epsom salt, and water. Dry the banana peels (see tutorial at the end of this article for how) and egg shells, then once they’re dry, grind them together. Add the peels and shells to a spray bottle, along with the Epsom salt, and fill the sprayer to the top. Spray on your plants as needed. Get the full recipe to make fertilizer from banana peels here! 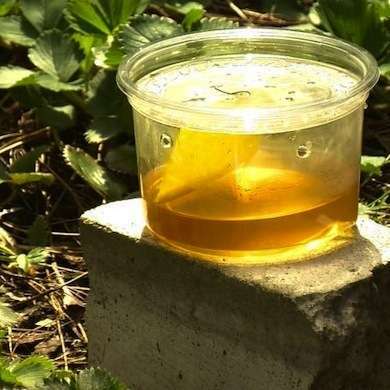 You can create a simple insect trap with banana peels and apple cider vinegar. If flies are a problem, and you’re looking for a non-toxic solution that’s pet friendly, creating this trap might be for you. It’s also a great way to reuse a disposable plastic container and keep it out of the landfills. 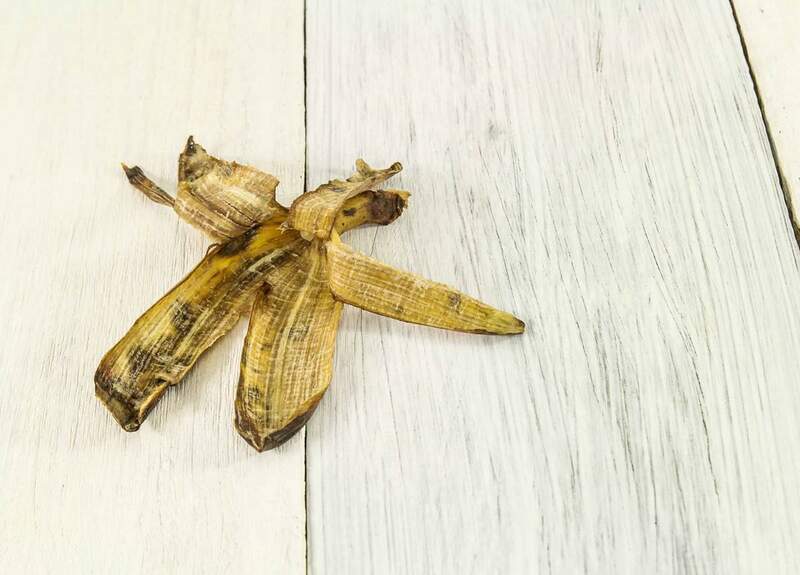 To make an insect trap using banana peels, combine small pieces of the peels with the vinegar, and shake to mix and release the scent of the banana. If you follow this blog at all, you’ll know I’m in love with homemade vinegar, and of course that’s what I will recommend you use in this banana peel, apple cider vinegar project. Drill holes large enough to allow bugs to get through into your plastic container, and pour your banana mixture (peels and all) into the container. Place outside in your garden to keep down the insect population (great for gnats). The bottom line: Will this solve all your insect problems? But neither do fly traps that contain chemicals and pesticides that you’re trying to keep away from your veggies. You’ll still get bugs, but you will get less of them, and you’ll keep your garden free of harmful chemicals. One reported use for banana peels in the garden is as an aphid deterrent. These little pests can decimate a garden before you can say “tomato sauce,” so keeping them away is important. To use banana peels to prevent aphids, place chopped peels just under the soil line. 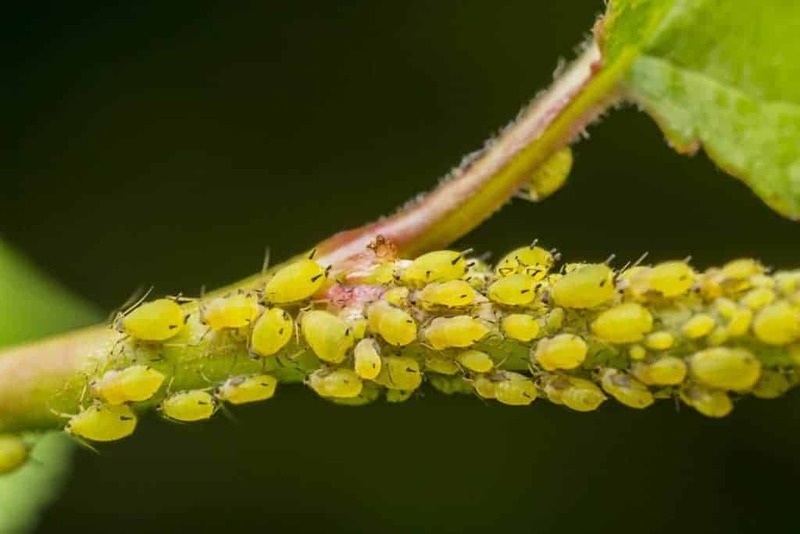 I’m not sure why, but there’s something in the peels that aphids hate. You’ll also be adding fertilizer to your garden, since as the peels decompose, their nutrients will unlock and release into the dirt. 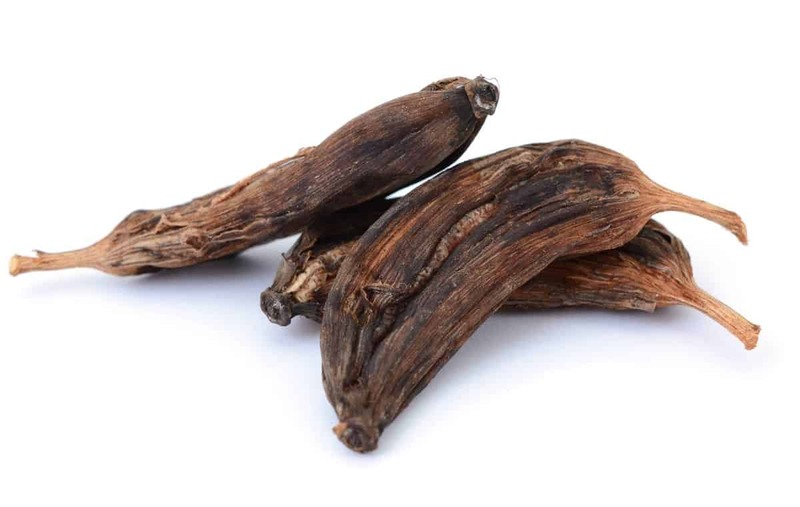 For bigger blooms and healthier plants, use fermented banana peels in your garden. This is particularly good for healthy roses, but any flowering plant will benefit. How do you ferment banana peels? 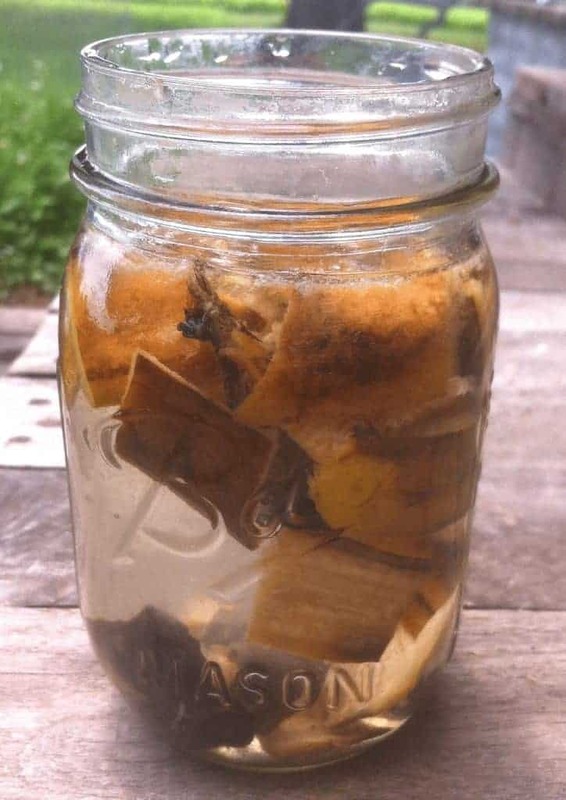 Put your peels in a mason jar, and cover with enough water so they’re submerged. You’ll want to put some sort of weight on the peels so they remain under the water. Cover with cloth and rubber band or a loosely fitting top (I personally use a loosely fitting top). Let the mixture sit for a week while the good bacteria does its job and unlocks the nutrients in the peel. If you see a cloudy must, that’s ok. If you start to see black mold, you’ll have to throw it away and start again. As long as the peels are below the surface of the water, you’re probably okay. Let your nose and your judgement be your guide. After a week, put the peels in a blender and puree (save the water for other plants). Side dress your blossoming plants with the puree, being sure to incorporate it into the soil gently so it doesn’t attract unwanted critters like squirrels and raccoons. If they’re a particular concern, dilute the puree in water to help it distribute into the ground better. 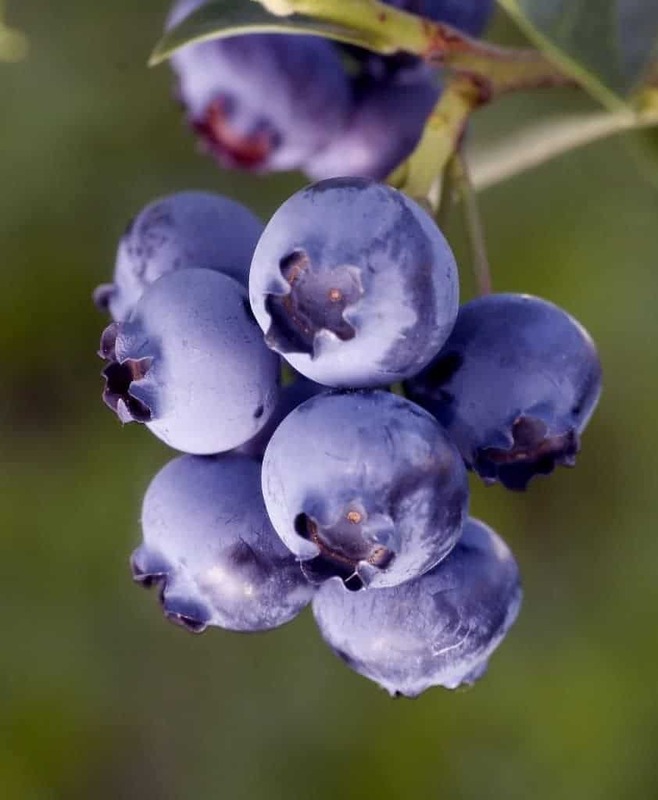 If you’re looking to give your blueberries a nutritional boost, create some banana vinegar for them – it will give them the acidic soil they crave while unlocking the nutrients in the bananas for a healthier plant. To create banana vinegar, follow the steps above to ferment the peels. After a week, remove the peels, and allow the water to sit, covered, until the mixture ferments into a vinegar. This can take anywhere from 4-6 weeks, depending on conditions such as temperature. Let your nose tell you when it’s turned to vinegar – it will have that unmistakable vinegar scent. If the mixture seems especially potent (you’ll know by the scent), dilute it with water right before using so you don’t accidentally burn your plants. You can either dry peels whole, or cut them into strips (1/8″ – 1/4″) and place them so they’re not touching on a cookie sheet. For both methods, dry them at 140 degrees, leaving the oven door open 1-2 inches, until they’re dried through. Can the banana fertilizer be used on any plants or flowers? Or is this just for a vegetable garden? You can use it anywhere, and it’s especially good for roses! Take a banana peel and place it down in the middle of a sago palm. You will be amazed at the new growth. Oh Gosh! As the mother of a four year-old boy I say this is a fantastic site! He wants to eat more bananas now, just for the pleasure of burying the peels! Thanks! I’m glad you like it! My kids love bananas too! Thanks. I am glad you like it. My kids love bananas too. Now they are eating more and more bananas so that they can bury the peels also. the flowering what do you say add water and spray ive been using coconut and aloe vera as a spray can banna be added to ? I am a weekend “gardener.” Banana peel has been and will always be the top cure for my garden. As much as possible, no chemicals for me. I was thinking about taking bananas that are starting to turn brown from being over ripe andd putting them in the blender peelings and all and then use the results to water plants. 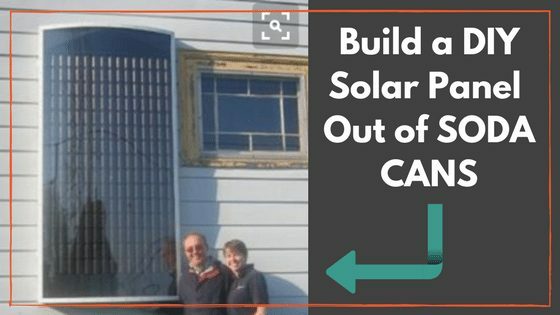 Would this be a wise thing to do? I already poured some banana peel tea i made over the soil in my carrot pots. The last jar I was about to pour clearly had mold in it. I suspect the previous jars I poured also had mold. Are my carrots no longer safe to eat? I would think they’ll be ok, but you’ll want to wash them thoroughly when you harvest them (which you’ll do anyway). The ground is full bacteria and mold anyway. Can I store banana peels in the freezer for use later?